In the Post-Koken case of Singer v. State Farm Mut. Ins. Co., No. 2015-CV-2859 (C.P. Lacka. Co. Jan. 24, 2019 Gibbons, J. ), the court addressed a Plaintiff's post-trial motion for a new trial after the entry of a zero verdict by the jury. According to the Opinion, the Plaintiff had previously settled with the third party tortfeasor and this matter involved a jury trial on the Plaintiff's claims against the UIM carrier. The Plaintiff asserted that the jury's verdict of $0 bore no rational relationship to the evidence produced at trial, and defied common sense and was shocking. The court noted that liability was admitted in this rear end accident matter. The court also noted that it was uncontested by both the Plaintiff's experts and the Defendant's experts that the Plaintiff had sustained a cervical sprain strain as a result of the accident. The Plaintiff's experts additionally testified that this type of injury resulted in pain for the Plaintiff. The Defense expert also agreed that this type of injury ordinarily takes six to twelve months to resolve. The court reviewed other zero verdict cases and noted that under the law, a cervical sprain/strain injury is a type of objective injury that normally involves pain and suffering. Without noting any of the other evidence that was presented at trial, the court in Singer concluded that, based on the experts' testimony, the jury had no reason to believe that [the Plaintiff] did not suffer pain. The court also noted that there was no evidence that the Plaintiff had a pre-existing condition or injury prior to the accident which could have been a cause of his alleged pain. As such, the court ruled that the jury's decision to disregard what the trial court judge viewed as the uncontested evidence of the Plaintiff's injury and to award zero damages for pain and suffering constituted, in the court's eyes a decision that bore no rational relationship to the evidence produced at trial. 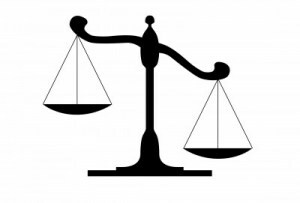 Accordingly, the trial court judge found that the jury's verdict was contrary to the weight of the evidence. The court therefore set aside the jury's verdict and awarded the Plaintiff a new trial.